Home care services are available to provide help for wide range of health conditions. Such services can be provided at home to nurse aged person or help anyone who is disabled or terminally ill. Many old people need assistance at home throughout the day. Now let us try to understand what is an in home care? 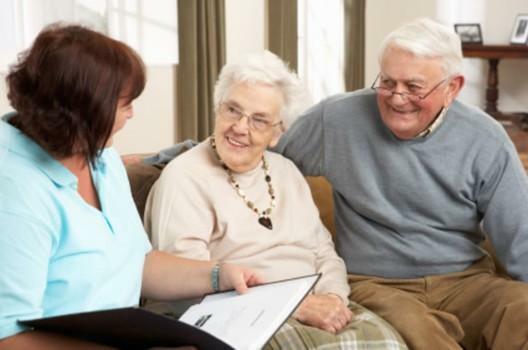 People generally prefer to go for home care services when their family member or relatives cannot help the person due to lack of time or not trained for helping the person. These days, most of the old couple prefers to stay independently and therefore they need home care services as their physical capabilities get reduced with old age. In many cases, young people also may need such services when they fall ill or become disabled due to an accident. In several cases, young infant child also need home care services either due to their medical condition or their mother may have to go out for work. Also, many patients who do not like to stay in hospital for long time may prefer to avail home care services at the privacy of their home. Why do we need Home Care Services? There are number of agencies, who have trained personnel. They provide cost effective and quality services. People prefer to avail such services instead of paying high charges in hospitals. Most of the old people prefer to avail home care services and treat the person providing the service as a member of his family. Thus, they remain independent and do not require help from their own family members. In many households most of the members of the family need to go out for work and hence they cannot devote their whole time to take care of aged or ill people. Home care services prove to be a boon for such family. There are different types of services available from home care service providers. Following are few of them. Most of the patient may need such services in order to get certain special kind of treatment. A highly trained people are supplied by the agencies who charge as per the hourly rate. Many service providers offer this service for minimum 5 hours. In many cases people may need 24 hours service to take care of old people or any ill patient. In such case a person will be available for throughout the day however he or she must be given 8 hours time within the day to have uninterrupted sleep. Some patients may need 24 hour care and the service provider will provide caretakers, who will come in different shifts so that the person gets uninterrupted service for full day. In such service any health professional or nurse will visit for providing certain special kind of service.